“Hearing the presentations and discussions among our members, executives, policymakers and others, I’m increasingly confident that 2019 will be a prosperous year for the energy sector. I’m also encouraged by the positive impact the Trump administration policies have had on the energy sector and our members overall. “Just last week, the Federal Energy Regulatory Commission moved one more hurdle for our member, Houston-based Tellurian Inc.’s, proposed liquefied natural gas export facility on the U.S. Gulf Coast and its associated pipeline. “It’s clear that President Trump’s policies have encouraged American energy production and removed unnecessary and redundant barriers to development, delivery, technological innovation and exports. “Policies that secure and expand U.S. energy supplies position our country as a world supplier which advances U.S. energy security and protects our allies. “USEA is acutely aware of this. We work with the U.S. Agency for International Development to expand energy infrastructure in developing countries and emerging economies. We are creating fertile ground for U.S. energy investment in those countries. 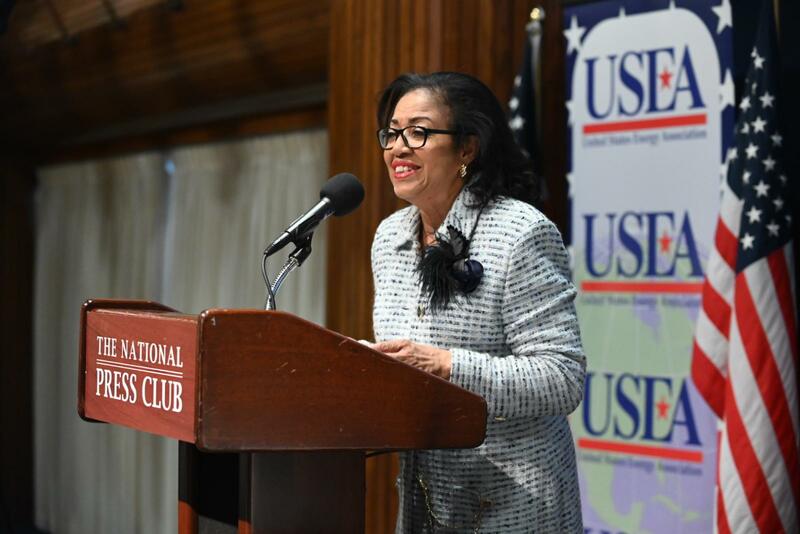 “USEA also supports the Energy Department’s effort for global adoption of clean energy technologies including carbon capture and sequestration and high efficiency low emission technology for coal.